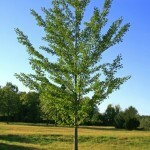 This durable, and easy transplanting tree is very adaptable. 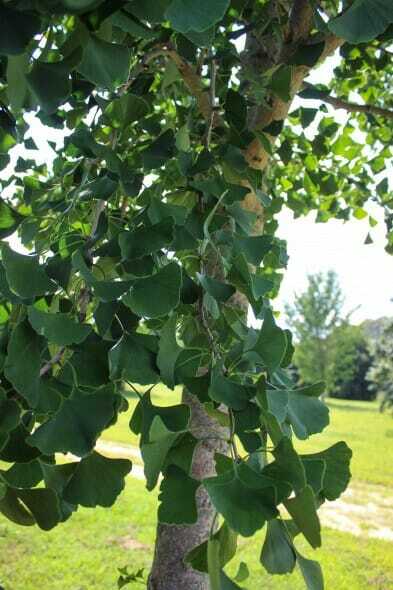 It likes moist soil, although can take a range of soils. It is most known for its incredible bright yellow/gold fall color. Very disease resistant. 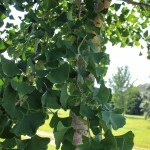 It is a very slow growing tree but will outlive many species. It is an incredible focal point in the landscape. A Halka introduction. 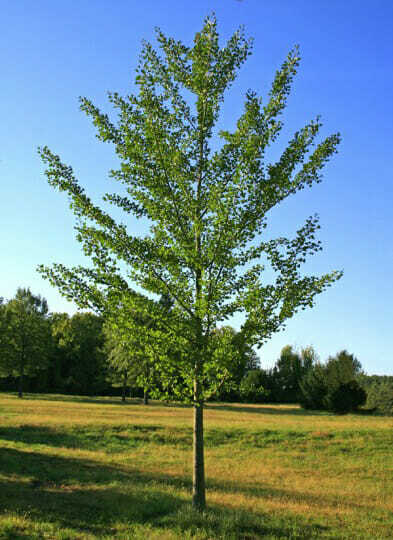 A strong central leader supports dense, uniform branches which creates a very symmetrical canopy. Distinctly pyramidal through middle age, becoming more oval with age. Bright yellow fall color. Very hardy. Fruitless male. Slow growing and long-lived.